Well, after class yesterday, I was very interested in discovering more about mining bird poo. It turns out that not only can you acquire rights to mine valuable minerals on federal land in the U.S., you can also take possession of any ungoverned “island, rock, or key” for the U.S. if you discover guano there. 48 U.S.C. ss 1141-1149. About 60 islands have been claimed under this act, and it’s still in effect! Guano has economic value as a fertilizer because of its high nitrogen content. It was traded pretty heavily in the 19th century. 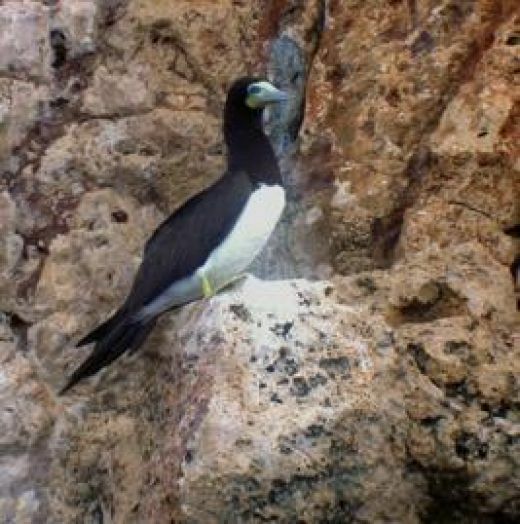 One of the conditions of the Guano Islands Act was that the guano could only go to the U.S., and the prices at which “miners” could sell the guano was fixed by the government.The act mentions that the navy can be used to defend these islands, and also disclaims any obligation to remain in possession of the islands once the guano has been removed. I’m interested to know where this fits in with our ideas about mining, and how it is similar to and different than our other mining laws. It seems like, in the Guano Islands Act, the citizen does not get some of the discoverer/ locator rights from the Mining Act. They are only permitted to sell to the U.S., and they don’t get any opportunity to acquire a permanent property interest through filing a patent. I also think it is fascinating that the government takes it upon itself to give rights to land that are not U.S. territory. The statute itself says that this is constitutional, but somehow, it seems sort of fishy to me.